You are done with your studies and applying for an accounting job. Looking for a full-time or a part-time accountant position? But, do you know? Simply forwarding the applications and your resume to different recruiters won’t help much. You need to have the requisite knowledge and skills to clear an accounting interview in specific. 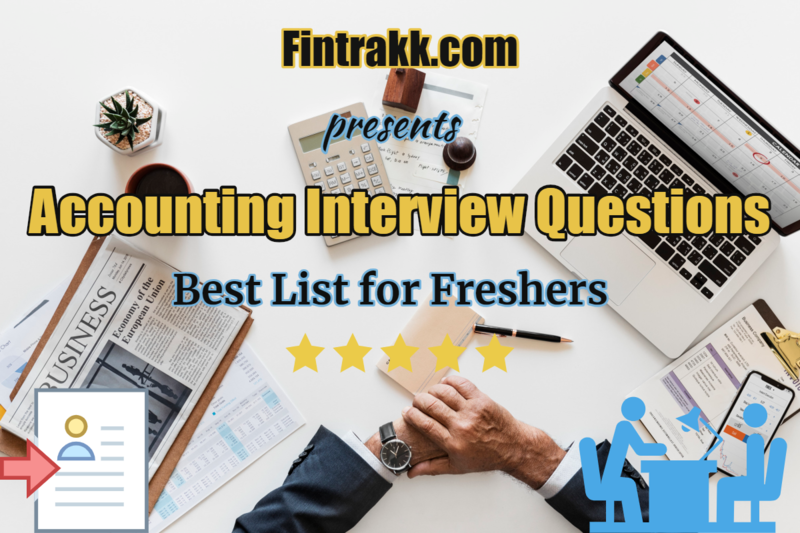 So, here we present to you a list of common accounting interview questions for freshers to expect in a personal interview. Let’s dig deeper to help you crack your first accounting interview. Know some of the commonly asked questions in an interview for the role of an accountant. No matter what place or country you are, the basic concepts of accounting shall remain the same. And, so shall the testing criteria for such accounting jobs. 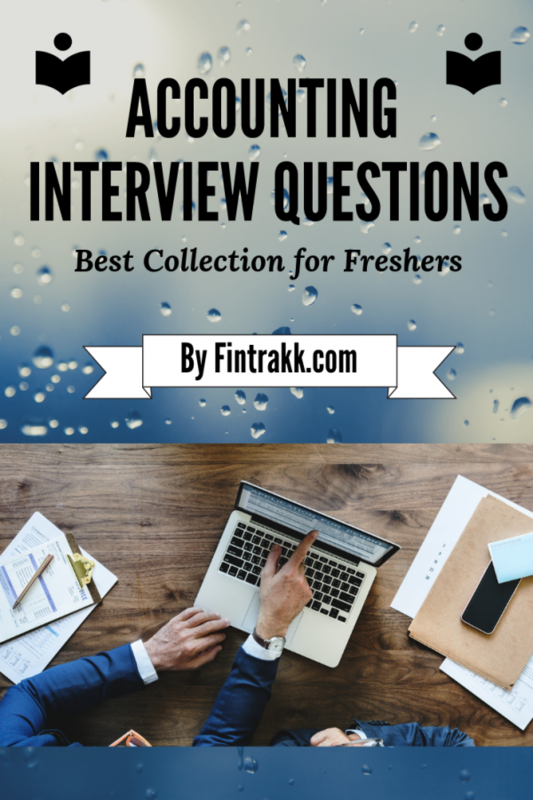 Now, have a look at what accounting interview questions the employer can ask you as a fresher. A massive list of questions to guide you in the preparation of getting a good job. Tell about yourself, your education and interests. How can you contribute in the growth of our company? Why do you wish to become an accountant? Why did you choose accounting as a profession? Where do you look yourself 5 years from now? Do you have working knowledge of any accounting software or application? How would you rate yourself on a scale of 1 to 10? In terms of accounting, MS excel and computer efficiency. Do you believe in team work? Before going deep, you must make yourself familiar with the important basic financial terms. What is Double-entry Book keeping? What are its rules? How will you explain the Basic Accounting Equation? What are the 3 golden rules of accounting? What is Bank Reconciliation System? How it is prepared? Describe the common errors in accounting? What are the 3 main financial statements of a company? What are different branches/streams of accounting? What is Financial, Cost and Management Accounting? Differentiate between the three of them. What are tangible assets? Give examples. What is depreciation and how it is calculated? What is the rate of depreciation on different assets like land, building, office equipment? How can you adjust entries into an account? Explain Accrued expenses, accrued revenue, deferred expenses, deferred revenue and depreciation. What is a Cash Flow Statement? What does it contain? What are Accounting Standards? How many accounting standards are there? Are they mandatory and why? You can refer some of the best accounting books to grab a perfect answer to these questions. In addition, the recruiter can ask you to solve few practical questions to check your in-depth accounting knowledge. Think and analyse deeply before reaching out for the accurate conclusion. Sometimes, the interviewer is keen to test your comparative analysis thinking. To tackle this situation you must be well-versed with few differences. What is the difference between a Real account and a Nominal Account? Give examples. What is the difference between Mercantile system and Cash system of accounting? Which one is best? What is the Difference between a Trade discount and a Cash discount? What is the difference between a Debit note and a Credit note? Differentiate between Accounts receivable and Accounts Payable. What is the difference between a Trial Balance and Balance Sheet? Differentiate between Capital Expenditure and Revenue expenditure. Give examples. Is there any difference between an active and a dormant bank account? How will you differentiate between Provision and Reserve? Differentiate between Depreciation and Amortization. So, this was our set of questions that you must prepare while appearing for an accounting interview. In fact, this is not the only bunch of accounting interview questions. This is an outline of what you should know while applying for an accountant’s profile. In fact, it’s not that difficult! You might have studied it all especially if you are applying after graduation in commerce. It’s the time to enhance your accounting knowledge and be ready to answer any random questions that comes your way. Besides accounting, if you wish to try your hands in the banking sector, don’t miss to read common bank interview questions. No doubt, you’ll have to answer general questions about yourself, your educational background, skills and interests as well. However, replying to your accounts field related questions with utmost confidence can be a major turning point in your selection. “The first impression is the last impression” as it is commonly said. Practice a lot, revise your basics and perform your best. What do you think? Are you fully prepared to appear in your first job interview? Whether you choose accounting or any creative career option, put the best efforts to perform well in the respective area. All the best! These are the commonly asked best accounting interview questions. There could be many others accounts questions to add to this list. And, nothing to be scared off! Just relax and move ahead. You’ll surely grab a good accounting job very soon. Feel free to share your views and shed out your nervousness right here.